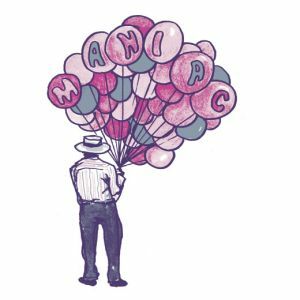 La Ti Da Records in Vancouver dropped the debut 7″ from “Los Angeles gentlemen punks” MANIAC. This rollicking quartet features members past and present of Clorox Girls, Red Dons, LA Drugz, and The Warm Jets just to name a few. Together on their new 7″ they deliver a grainy garage sound that has a few traces of twangy surf rock. Smoking guitar chords lead the way through “Dim Sum,” a crunchy surf-punk anthem boasting melodic hooks and wiry lead guitars. Muffled bass throbs and swift percussion hold down the crashing rhythm section, stirred by the constantly grainy growl of the guitars. B-side “Pepe” has us recalling the Spider Fever debut from last year, citing fiery guitar hooks and crashing percussion that together make up a bruising punk sound. Fist-in-air chanting leads the charge, broken down by a mangled guitar solo right in the center of the action. Take fair warning, this single is just short of five minutes so it’ll take a few extra spins before you’re satisfied. Now snag the 7″ while it’s still available from La Ti Da Records! BUY the 7″ directly from La Ti Da Records – won’t be around forever ! 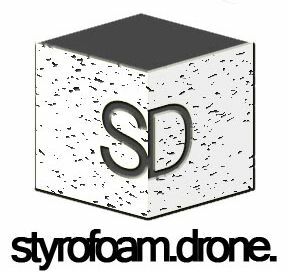 Posted on November 25, 2013 by styrofoamdronePosted in 7", ReviewsTagged garage rock, punk, surf rock.